Keep your eyes to the skies on Saturday, May 9. The Zion Park District is hosting a fun, family-oriented kite fly from 11am-4pm in the park behind the Leisure Center building as part of the Illinois Association of Park Districts’ (IAPD) statewide Flying 4 Kids month. The goal of Flying 4 Kids is to raise awareness of the Park District Youth License Plate, which features a colorful kite. Twenty-five dollars from the sale and subsequent renewals of each plate is placed into the IAPD Power Play! Grant, a special grant to benefit beyond-school programming for youth at park districts and recreation agencies throughout Illinois. In April, the Zion Park District was awarded the Power Play! Grant to enhance summer camp programming that focuses on fitness, nutrition and health. The Zion Park District’s kite fly event is FREE and open to the public. 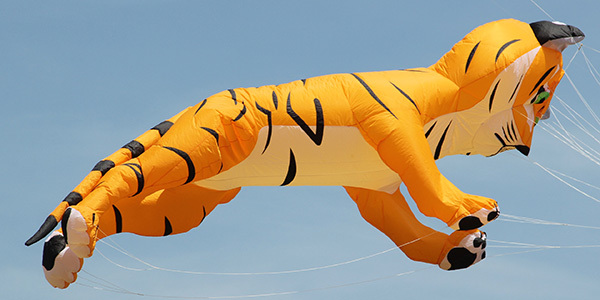 Chicago Kite will be joining us to show off some of their enormous kites with performance demos. 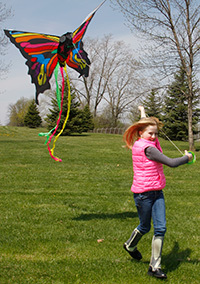 Bring your family, a picnic lunch, and your favorite kite for this fun, leisurely kite fly.